Holo with a saying. 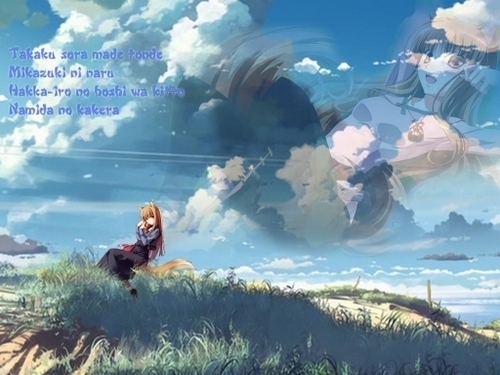 IDK wat the saying means because its not in ENGLISH.. Wallpaper and background images in the Spice and wolf club. IDK wat the saying means because its not in ENGLISH.